She hoped against hope, that this time, her unborn child would survive. Having been married for 11 years and had three miscarriages, Betty and her husband Ian, from Ballater, were following very strict orders from the doctor. “I had to leave my home in Ballater, move into the old Summerhill Hospital in Aberdeen and lie flat on a bed for 10 weeks, which was pretty awful as I’m a get-up-and-go type of person,” said Betty, 73. 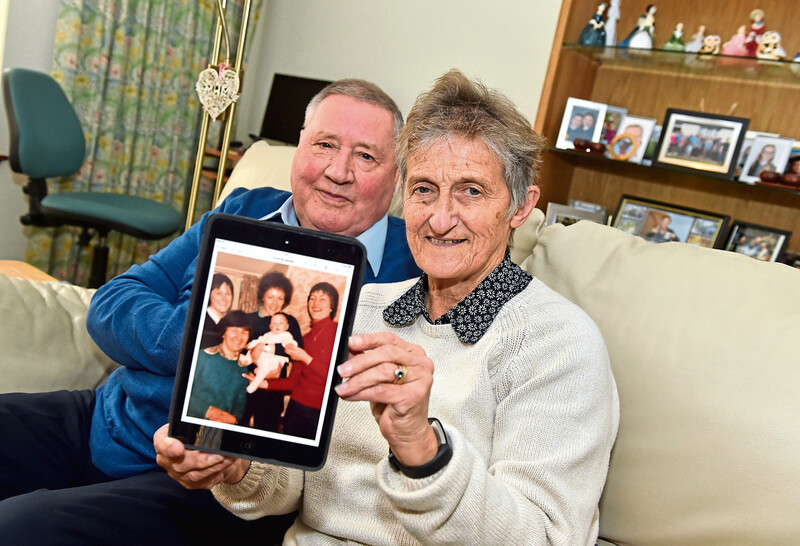 Ian Simpson and Betty Simpson, with pictures of their baby who was saved thanks to the Special Nursery. 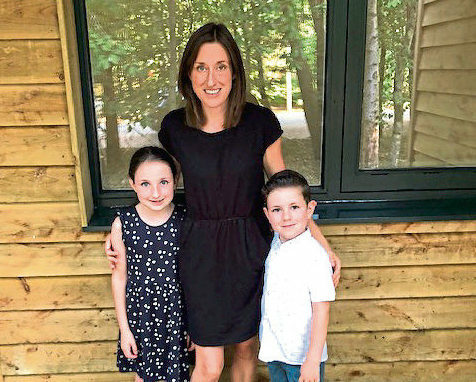 “Ten weeks before the baby was due, Heather was born weighing just three pounds, then her weight dropped to two and half pounds. “I didn’t get to see her as they whipped her straight away to the Special Nursery. 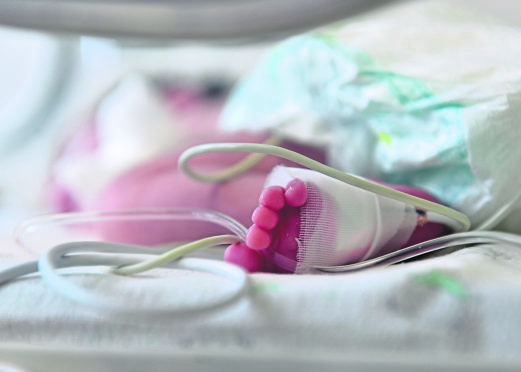 “She was in an incubator, attached to all sorts of tubes and looked tiny. Aberdeen’s neonatal unit, often known as the Special Nursery, helps between 900 and 1,000 babies a year. Like Heather, many are born prematurely, while some are full-term but need special care. “When she was nine days old, Heather contracted meningitis and we were taken aside and told if she did survive, she’d probably be blind, deaf or could face life-threatening issues,” said Betty. In those days, mums and babies couldn’t stay together at the hospital, but Ian’s brother lived in Aberdeen, so Betty was able to stay there for two weeks and visit Heather in the hospital each day. “Then she went home to Ballater and visited daily with Ian for the next eight weeks. “She wasn’t expected until November 12 and here she was in September and I wasn’t ready for it,” said Betty, who was practice manager at Ballater Health Centre for 35 years. Heather spent 10 weeks being cared for in the nursery and was allowed home once she weighed five pounds. “Dr David Lloyd was an amazing paediatrician, and the nursing staff were superb,” said Betty. “When we got Heather home, we had to keep her in a room at a certain temperature and make sure she was never in contact with people who had colds, etc. Although she perhaps didn’t initially have the stamina of children the same age, she thankfully didn’t suffer from any of the predicted side-effects of being born so early. She went on to study law at Edinburgh University and once graduated, moved to London, where she met her husband, Rob. She’s now mum to eight-year-old Eirin and six-year-old Darroch. Heather with her children Eirin and Darroch. Heather chose to mark her 40th birthday in dramatic style, by abseiling 262 feet down the ArcelorMittal Orbit tower in Olympic Park, and through sponsorship, raised £1,500 for Aberdeen’s Special Nursery. “I wanted to give something back to the nursery as they saved my life when I was born and supported my parents through a very difficult time,” said Heather. “I wanted to do something out of my comfort zone, so I picked the abseil. “I don’t like heights very much, so it was a big challenge for me. All the babies brought into the care of the Special Nursery are regarded as special, and strong bonds of attachment are formed between the babies and the nurses, doctors and assistants looking after them. “Earlier this summer, the doorbell rang and a lady was standing there enquiring after Heather,” said Betty. “It turned out to be Sister Miller who had cared for Heather 40 years ago. Using the internet, she, Betty and Heather had a great online reunion. “Sister Miller was thrilled to see Heather while Heather was delighted at being able to say thanks to the lady who had looked after her so well in the nursery. This week, it was revealed the charity Friends of the Neonatal Unit have set themselves the ambitious target of raising £2 million. Katie Watters, manger for the charity, which is part of the ARCHIE Foundation, said: “We hope to raise £2 million for the new Baird Family Hospital, which is expected to replace the current Aberdeen Maternity Hospital from 2021. “It will include a brand-new maternity unit and a new neonatal unit. “It’s great news as the current maternity hospital isn’t really fit for purpose any more. “The NHS pays for equipment, but we raise funds which allow us to upgrade it to specialist equipment. But it’s often little things that make a big impact on parents whose babies are placed in the neonatal unit. “We bought wider, comfier bedside chairs, so it’s more comfortable for those sitting by baby’s bedside. “We also pay for a counsellor and psychologist in the unit and things like specialist car seats, clothing and nappies. The neonatal unit, which has helped thousands of babies to survive was only made possible after Lord Astor of Herver died and left £75,000 in his estate, which was to help with the building of a new neonatal unit in Aberdeen. The money would only be used if the then Health Board agreed to take on the running costs and upkeep of the unit. 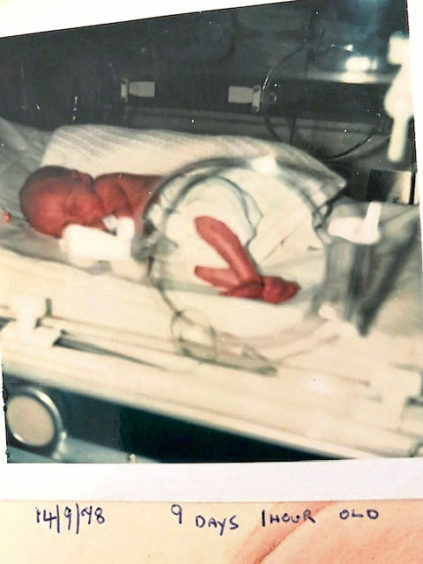 In 1984, a small group of parents got together with the idea of raising enough cash to buy a new incubator and create a parent-and-child room at the unit. Their terrific efforts, and public support, saw them raise enough to help fund a whole new 40-bed neonatal unit at Aberdeen Maternity Hospital. It opened in 1988 and became known as the Special Nursery. Over the years, the group became a charity, and fundraising continued with donations coming in from Grampian, the Highlands and Islands, Orkney and Shetland. At least £500,000 a year needs to be raised in order for the charity to support the unit. In September this year, the group changed its name from Friends of the Special Nursery to Friends of the Neonatal Unit.